Start the week off right with a bright bit of color. 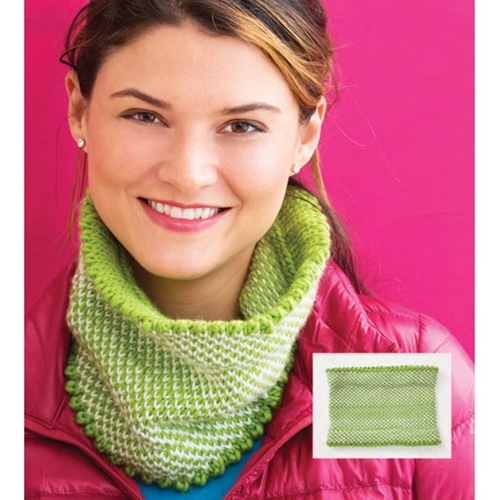 Worked in the round in alternating colors, this face-framing scarf alternative has a fold-over hem finished with a pretty picot edging. 21 sts and 21 rnds to 4"/10cm over Fair Isle pat using size 8 (5mm) needles.